The Long-Term Capital Management (LTCM) collapse in 1998 has been often referred to as When Genius Failed. 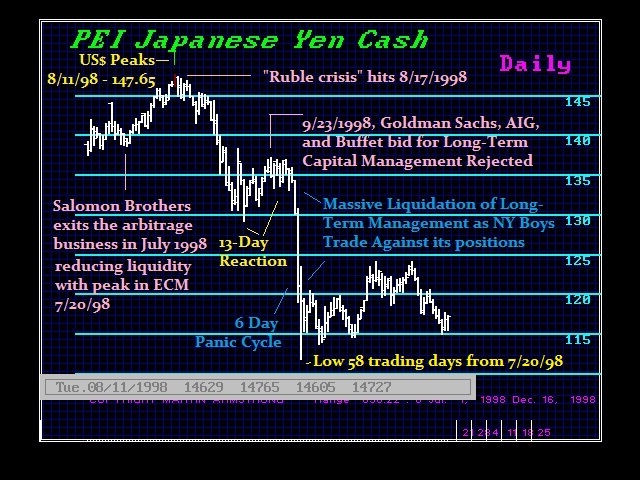 The collapse of LTCM was instigated by the collapse of Russia. Everyone and their 5th ex-wife was long Russian bonds as bribes were paid to people in the IMF to ensure the loans would keep flowing to Russia so they could earn huge guaranteed interest payments on Russian debt. The collapse of LTCM illustrated the problem that I have been warning about – everything is connected. The collapse came within weeks of the turning point on the ECM – July 20th, 1998. The US share market peaked precisely that day. The crisis in LTCM was in fact that they were at least traders. They had positions in everything, Once Russia collapsed, they needed cash and this they start to sell other positions that had nothing to do with Russia just to get liquidity. This is why you cannot forecast ANYTHING in isolation or look at a simple one-dimensional cause and effect. It is far more complicated than that. On top of this, we have the problem with the “Club of NY Untouchables”. They are the cause of rising taxation, increased aggressiveness on the part of government against our rights, all because they have convinced the government if they fail, governments will fail because they will be unable to sell their debt. Why do you think Obama was trying to get rid of guns when there are plenty of laws concerning drugs, crime, and guns pretending background checks are necessary when guns are sold on the street everyday. Why is homeland security buying 1.6 billion bullets and tanks and there are civil unrest exercises? This is all because government fears the day when they cannot sell their debt and will default on their obligations thanks to the bankers. Because the “Club of the NY Untouchables” think if they rig the game, risk management is not necessary and that is why they blow up all the time and turn to government. 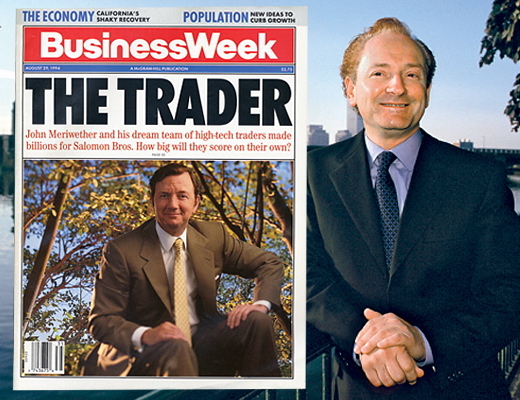 When they lose, hell it was a Rogue Trader the board had no idea he lost $8.3 billion dollars? HSBC bought Republic bank for $10 billion. Come on. If banks do not know their people have that kind of risk, then their internal controls are worthless. Are they that incompetent when they claim to be the smartest ever and that is how they make money? Something is not right and just because a trader confesses means nothing for he can be compensated to do so to save the bank. Then there was Madoff and his $60 billion fraud the bankers claimed they had no idea! Right! The degree of due diligence just to open and account is outrageous. Even Madoff from Prison said the banks knew. Lets get real. Anyone who claims the banks did not know what Madoff was doing are paid off by the banks. I personally spoke to Isabel Ring of the NY Post who interviewed me and asked if I thought Republic was illegally trading in our accounts laundering money for the Russian mafia and Colombian drug cartel “as they were doing in Madoff?” I said I had no idea. I just knew they were illegally trading but had no idea what they were doing with my collateral Fannie Maes other than they disappeared. She knew something, but that interview never appeared. Somebody squashed that one. Wonder who? And if you think banks do not launder money, look at HSBC. They are accused of additional money laundering in Argentina. They always rush to settle to make sure it goes away.